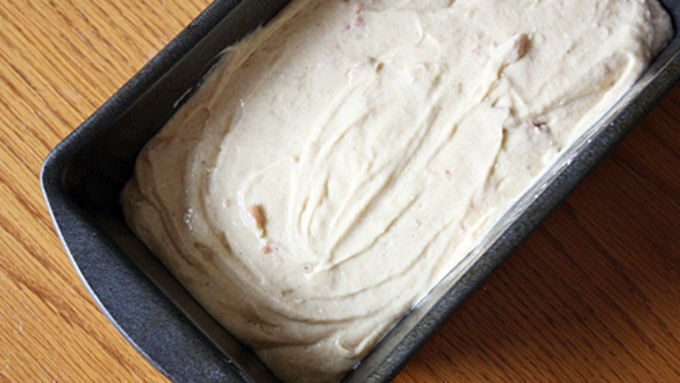 Preheat oven to 350°F and lightly grease an 8-by-4-inch loaf pan. Set aside. In a large bowl or bowl of a stand mixer, cream together butter, sugar and eggs until light and fluffy. 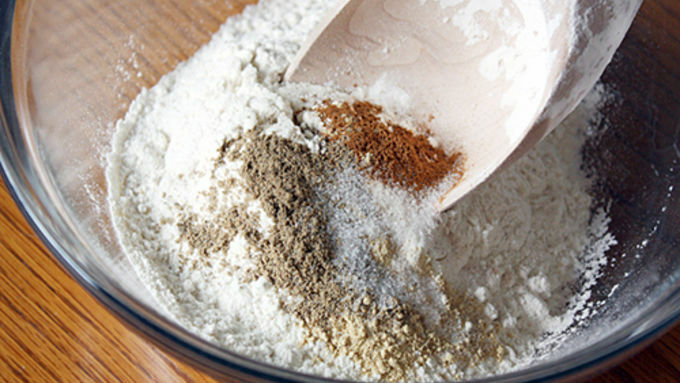 In a separate, medium bowl, whisk together flour, cardamom, cinnamon, ginger, baking powder, baking soda and salt. In yet another small bowl, combine sour cream and jam. Alternately add dry ingredients and sour cream mixture into the large bowl with the butter mixture and combine, beginning and ending with the dry ingredients and scraping down the sides of the bowl after each addition. Pour batter into prepared pan and bake for 50 to 60 minutes, or until a toothpick inserted in the center of the bread comes out clean. 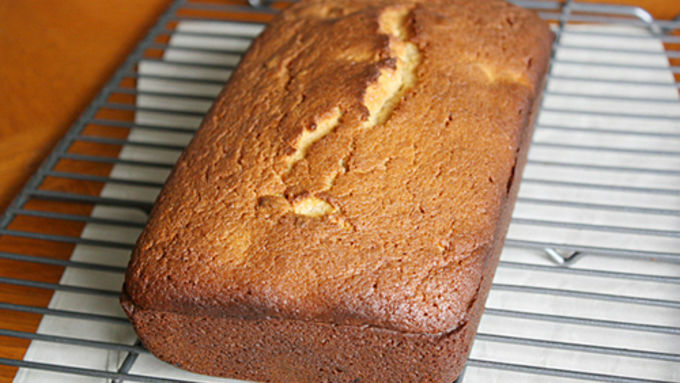 Allow to cool in loaf pan 10 minutes before removing and placing on a cooling rack to cool completely. Serve with mascarpone cream or a hearty spoonful of extra cherry jam. Turkey Day is over and we can all take a few days – or minutes – for a breather before the rush of holiday madness continues. Let’s celebrate with a quick bread, shall we? Now I know that makes absolutely no sense. A quick bread to celebrate slowing down? You bet. And this Cardamom-Cherry Jam Quick Bread is just the recipe to remind you to breathe in, breathe out and take a moment to enjoy life, because it’s awesome (your life and the bread, that is. Co-existing in awesomeness.). The thing I love about quick breads is, well, how darn quick they are (deep, I know). In about one hour, this bread can be beaming up at you in all its fully-baked delicious glory, ready to be eaten. All you have to do is mix a bunch of yummy ingredients together – like cardamom spice, cinnamon, sugar, sour cream and tart cherry jam – pour them into a loaf pan and wait a little bit while your creation transforms itself into something amazing. This bread is jammy, tart, sweet, moist and spicy all at the same time. But above all, it’s unique and tastes phenomenal with a dollop of mascarpone cheese or extra cherry jam on top. 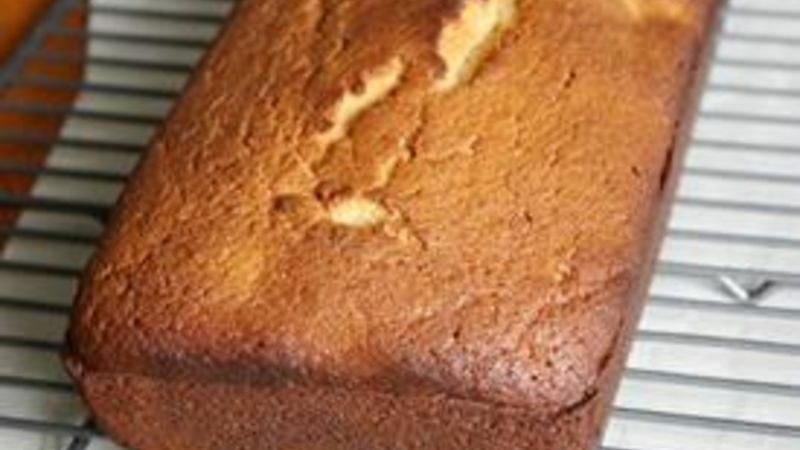 It can be served as a cake or a bread to go along with your tea or hot chocolate (or to keep your pockets warm while you go Christmas shopping). Most of all, it’s a great way to celebrate the season. So use that extra time to whip up a few batches of this recipe and share a little bit of that holiday cheer.